SAN PEDRO — Boater registration is now under way for the 50th annual Los Angeles Harbor Holiday Afloat Parade, scheduled for 6 p.m. Dec. 1 in the Port of Los Angeles Main Channel. 15th District City Councilman Joe Buscaino will preside as grand marshal for this year’s procession of decorated boats, celebrating the parade’s golden anniversary. 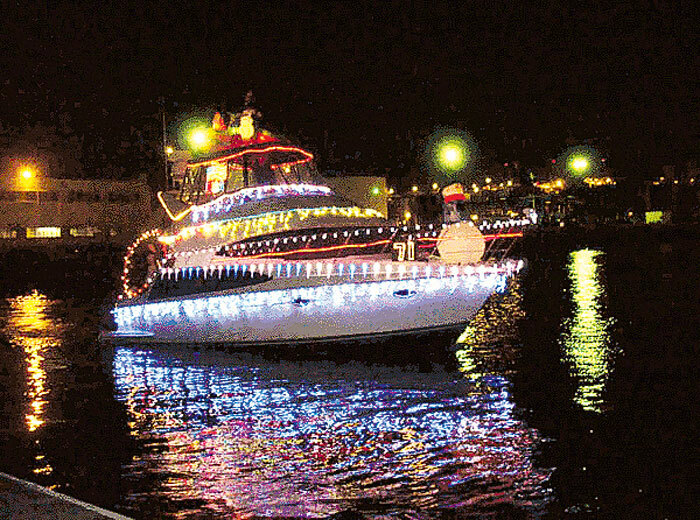 With the theme “50 Golden Years of Holiday Lights,” officials and community leaders will take part in the parade as judges or passengers on approximately 60 parade boats. Vessels of all shapes and sizes can participate, including powerboats, sailboats, tall ships and harbor working craft. Boater registration for the event is now under way, and the vessel entry fee for the parade is $30. Entry into the parade includes one admission to the parade awards brunch Dec. 2 at the Doubletree Hotel, where trophies will be awarded in the following categories: Theme, Traditional, Humorous, Holiday Spirit, Best Animation, Commercial, Most Original, Children’s Choice, Judge’s Choice and Grand Marshal’s Award. Yacht clubs will be vying for the coveted Perpetual Trophy, awarded to the club with the most entries. The parade, which is sponsored by the Port of Los Angeles, starts in the East Basin near Banning’s Landing Community Center in Wilmington and takes approximately 90 minutes to cover the entire parade route up the port’s Main Channel. Deadline for boat entries is Nov. 30. To enter, visit laharborholidayafloat.org. For more parade information, call Donna Ethington at (310) 549-8111.